The Aegli hotel is located in the rural suburb Haidari, in West Attica. It is ideal for business trips, medical tourism and entertainment tourism. The hotel is located close to the metro station Agia Marina (stasy.gr) line 3. 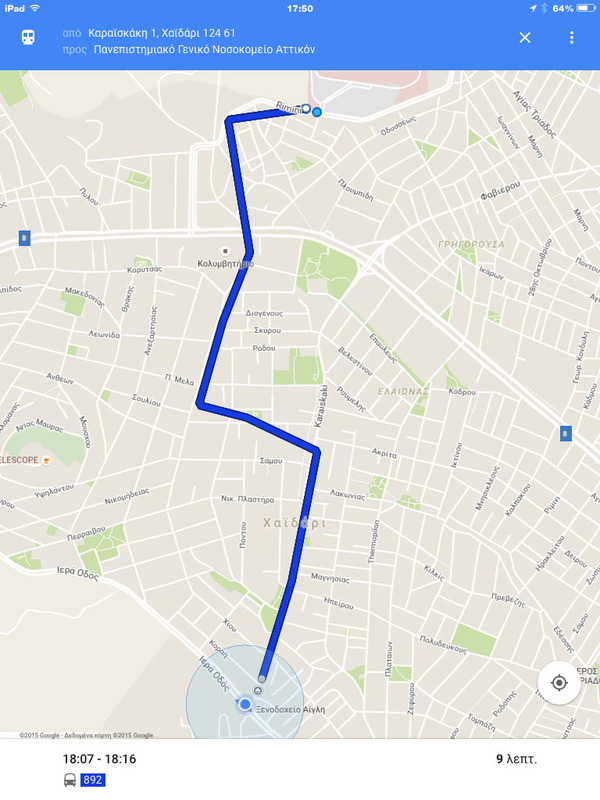 It is 7 minutes away on foot and 3 minutes away by bus (oasa.gr) lines 811, 876, 892, Kolokotroni station, which is 100 metres away from Aegli hotel. 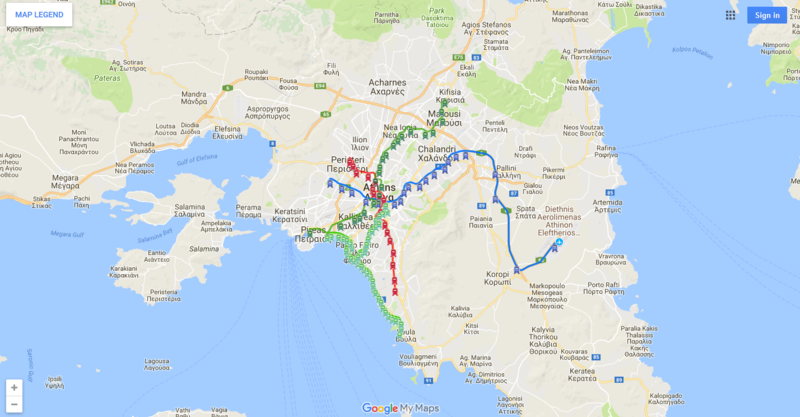 You can take the metro from the Eleftherios Venizelos airport and the Piraeus port. During your stay you can visit the centre of Athens (15 minutes away by metro), the archaeological sites and the old city, Plaka. You can also visit the Byzantine monastery of Dafni of the 6th-11th century A.D. (haidari.gr) which is accessible by bus in 10-14 minutes (lines 876, 731, 892, Α15) (oasa.gr). In a small distance from the hotel, about 15-200 meters away, there are restaurants for all tastes (souvlakia, Italian, tavernas, Chinese, fast food, Mc Donalds) as well as banks and post office. 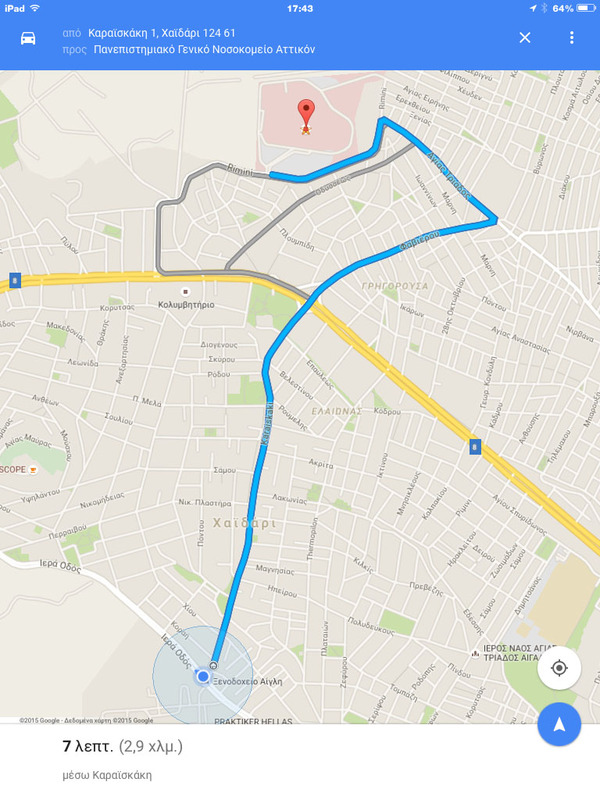 In the maps below you can find detailed information.